Five watchmen killed in Machakos attack – Kenyatta University TV (KUTV). All Rights Reserved. Five watchmen were killed Wednesday night after they were attacked by armed assailants at the Mitamboni Market in Kathiani, Machakos County. Four others were injured and are currently receiving treatment at the Makueni Level Five Hospital. According to reports, the attackers were armed with crude weapons including axes and pangas that they used to attack the night guards. 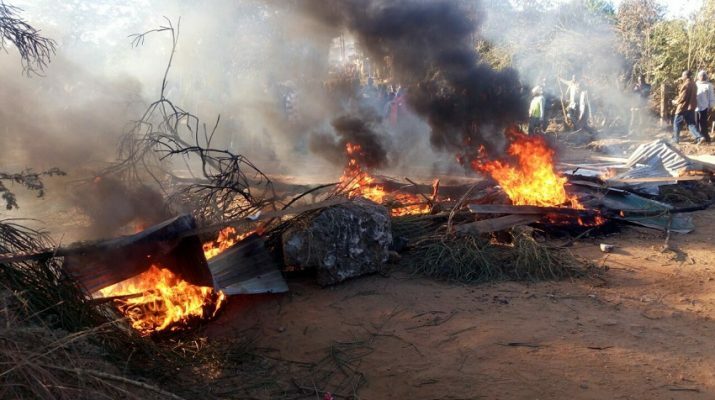 Angry residents on Thursday morning held demonstrations at the trading center barricading roads and lighting bone fires and accusing police of laxity. Police had to shoot in the air to disperse the crowd that was threatening to set ablaze their vehicle. Businesses were also closed as traders and residents stood in solidarity with the fallen guards. Mapenzi na ndoa za mabinamu zafaa kuhalalishwa?